Come up to the cool pines with temperatures 30 degrees lower than the valley. Ride your ATV through the National Forest or just relax on the 1000 sq ft redwood deck. Smaller 200 sq ft deck on the back. Great neighbors! 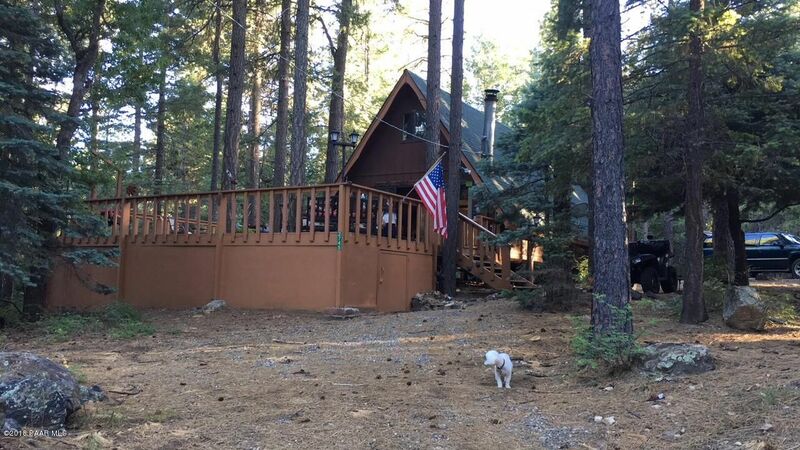 This cabin has an open floor plan and is upgraded with all the modern conveniences including washer, dryer, dishwasher, trash compactor, stove, microwave and 2 refrigerators. Large loft for kids and guests, private water company so no hauling water, which is very important in the mountains.